The full list of games that will be on sale and how much they'll be discounted hasn't been revealed as of the time of this post going live, but in their announcement for the sale, it looks like at the very least you'll be able to pick up Monster Hunter: World and Destiny 2 at a reduced price. [Ed. Note: We'll update this post with the co-op titles on sale and how much once that info is available]. In addition to a host (300+) of games being available at low-ish prices, Microsoft is also offering some discounts on their Xbox One hardware. You can pick up an Xbox One S with a 500 Gb hard drive for $199 or 1 TB Xbox One S bundles for $249, while The Xbox One X will be marked down to $449. If you want to hop on Xbox Live Gold for a month, and/or check out a month of Xbox Game Pass, both of those will be just $1. Finally, Xbox Wireless Controllers will be $10 off and the custom design controllers will be permanently reduced to $69.99. 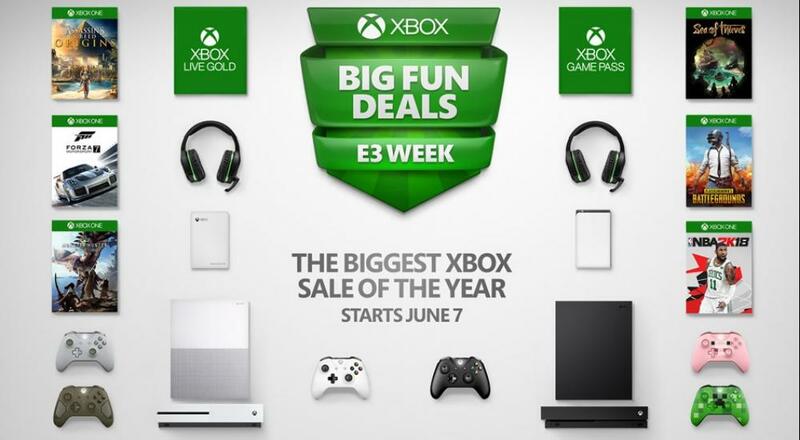 The "Biggest Xbox Sale of the Year" kicks off tomorrow, June 7 for the games, Xbox Live Gold sub, Xbox Game Pass, controllers, and Xbox One S. The Xbox One X sale officially starts on June 10. These deals will run until June 23.